On Thursday I call the Heritage Centre and pass on what June Binns has told me: there are 10 copies of the booklet ‘Reflections’ written by June’s mother, Mags Naylor and given by June to the centre five or six years ago. This time the volunteer staff member I speak to at the Heritage Centre promises to look for the booklet over the next couple of days. I receive my prepared letter back from Janet, complete with her signature, which will allow me access to her police statement. The tone of Janet’s letter (calm, reasoned) makes her sound like a completely different person to the one June was just describing to me. Janet has her second appointment with psychologist Dr Belinda Browne-Thomas. It’s the day of my scheduled meeting with Stuart Barlow, one time sub-divisional commander at Derbyshire Police, retired 1999 but then offered the post of Information Manager. Apart from getting totally lost and arriving over an hour late I think it goes quite well. Stuart has my list of questions in front of him from my FOI and is preparing to go through them methodically one by one. First of all, Stuart (who I’m guessing after 47 and a half years on the force must be approaching 70) is keen to paint a picture of Fred Handford, the man. Bear in mind, Stuart was not on this particular case and would never have met Fred, he asks me if I knew the farmhouse at Ball Beard and how Fred lived. I say that I was aware that his home was a simple one with very basic amenities. He asks me did I know that Fred slept most the of the time in a chair rather than in his bed (his bed linen was damp, apparently) and that he kept his food in a bag on a hook on the back of his door to “keep it away from the rats”. “Living on your own, it’s easy to let things go,” is how Stuart describes it. I know as soon as he tells me all this that if Janet had been in the room she would have been furious. Stuart goes through my list of questions quickly: As I’ve arrived an hour late he has to rush his responses slightly. I scribble furiously: he won’t allow me to record the interview. 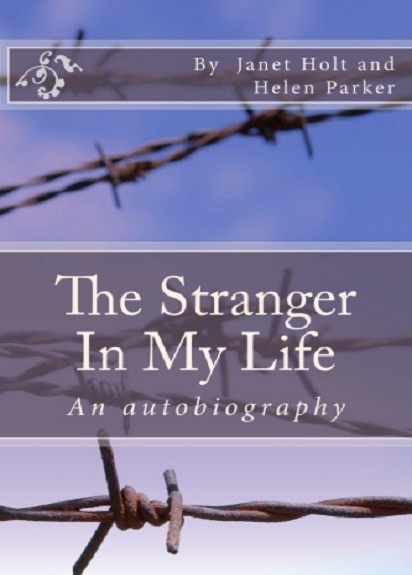 The Stranger In My Life Buy now.